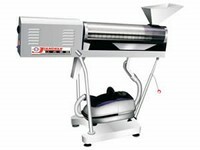 Medicine polisher is the latest special device. 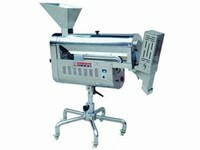 It is driven by variable speed motor to polish and clean the dust on the surface of capsule or powder, so as to increase its surface finish and reach the hygienic standard of the pharmaceutical industry. Jiangnan Enterprise is a medicine polisher manufacturer and supplier in China. 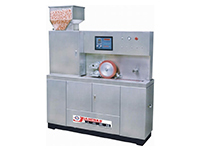 We offer a comprehensive range of products, including AL-PVC-AL blister packaging machine, high efficiency tablet coating machine, automatic strip packaging machine, capsule filling machine, and more. Tablet PrinterTablet printer is an enclosed type product, which is entirely composed of stainless steel and meet the requirement of GMP. 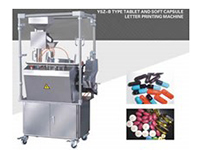 It features automatic print function, elegant appearance and convenient to operate and move, extremely suitable for printing fonts, trademarks and patterns on the surface of vacant capsule, solid capsule, soft capsule, as well as various types of tablets, irregular pills and candies. Capsule PrinterCapsule printer is characterized by high working efficiency and low costs. In conformity with the GMP standard, all surfaces in contact with pharmaceuticals and the outer surface of our device consist of stainless steel. Besides, it is convenient, flexible for you by adoption of frequency control system and touch screen electrical control system. Furthermore, our product comes with advanced shutdown system so as to effectively protect all capsules. Automatic Open Capsule And Powder Taking MachineAutomatic open capsule and powder taking machine is a multi functional equipment, composed of stainless steel. 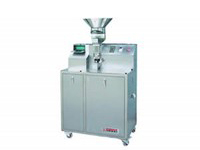 It always serves to recycle capsules, featuring high working efficiency, low labor strength, transparent working process, and convenient to unpick and wash. 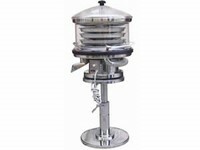 Besides, our product has well solved the mixed batch problem for centralized treatment.